VERO BEACH, Fla.-- A lease agreement was approved by Indian River County on Tuesday allowing Major League Baseball to invest millions in the facility and turn it into a center for youth and amateur baseball and softball. “We thank the Indian River County Board of County Commissioners for passing the Facility Lease Agreement that will allow us to move forward with our plans to operate and build upon the great legacy of Historic Dodgertown,” said Tony Reagins Executive VP of baseball and softball development for MLB. Specific plans are not being released, but according to a summary of the lease agreement , MLB does plan to upgrade Holman Stadium and add an indoor training facility. 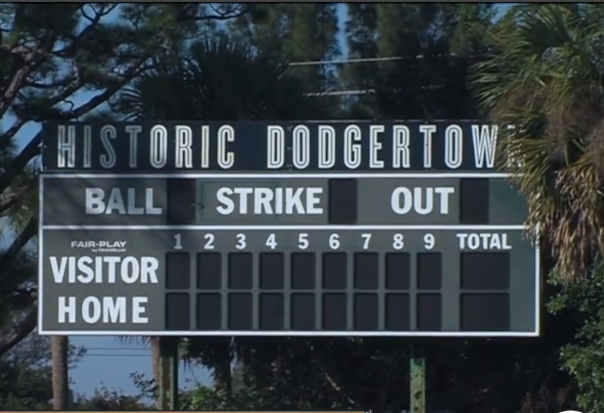 Dodgertown first opened in 1948 and was the spring training home of the Brooklyn and Los Angeles Dodgers until 2008. MLB will have a ten-year agreements with renewal options for 15 years. The new agreement is expected to be a boost for the Vero Beach economy, especially businesses near Dodgertown. “I think this is a good opportunity for this community,” says Alan Yanez of Nino’s Corner Pizza. Indian River County still owns Dodgertown and will be paying for a small part of the improvements. A spokesman for Major League Baseball said MLB recognizes Dodgertown's place in baseball history and wants to preserve it.